Our guest interviewer today is Judith Starkston, who writes historical fiction and mysteries set in the period of the Trojan War. Judith is currently seeking representation for her manuscript Hand Full of Fire. "In the midst of the mythic Trojan War, Briseis, healing priestess and strong-willed princess, driven by unspeakable grief, raises a sword against Achilles, mightiest of Greek warriors, igniting a passion that seals his fate and changes her destiny." This interview of Madeline Miller, author of The Song of Achilles, was first posted on Judith's website www.judithstarkston.com. Judith also reviews for Historical Novel Review. 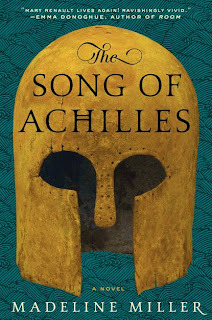 The Song of Achilles, Madeline Miller's debut novel, is one of the most engaging and worthwhile reads of the year, especially for those of you interested in Troy and Homer (My review). Her book, which has been shortlisted for the Orange Prize, will bring you inside that most iconic of heroes. Since the Iliad is my favorite topic of discussion, I asked Madeline for an interview. Her answers are thought provoking and fascinating. Madeline Miller was born in Boston and grew up in New York City and Philadelphia. 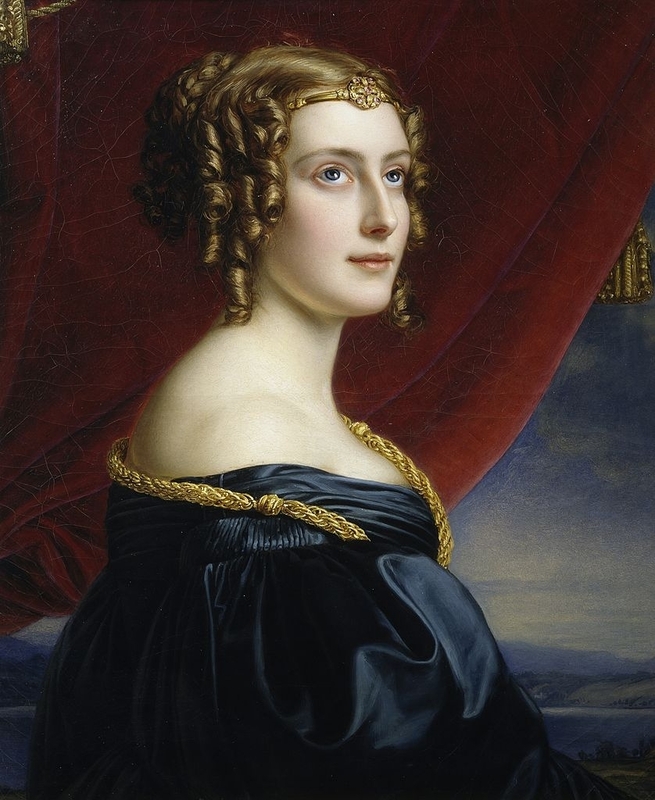 She attended Brown University, where she earned her BA and MA in Classics. For the last 10 years she has been teaching and tutoring Latin, Greek and Shakespeare to high school students. She has also studied at the University of Chicago's Committee on Social Thought, and in the Dramaturgy department at Yale School of Drama, where she focused on the adaptation of classical texts to modern forms. She currently lives in Cambridge, MA, where she teaches and writes. Judith: Talk about your understanding of Achilles, perhaps the most famous hero in the Western tradition. I'm guessing his character as portrayed in your novel evolved over time for you. What aspects of his personality arose directly from the Iliad and which filtered in through the magic of the imaginative process? Madeline: I have always been struck by Achilles' youth. I think it is easy to forget that he is the youngest of all the heroes who go to Troy, and also carries the heaviest burden of fate: he knows he will never return home again. This adds a bit of recklessness to his behavior, I think, the brashness of someone who has gambled everything on a single throw of the dice. I also drew from Homer Achilles' extraordinary, bone-deep honesty. As he says in the Iliad, "I hate like the gates of Hades a man who says one thing and hides another in his heart." That is a powerful statement—all the more so when you compare it to the constant half-truths and manipulations of someone like Odysseus. I was also fascinated by Achilles' complexity. Here is a character who is the fiercest killing machine the Greeks have. But he is also a beautiful singer, an artist of the highest order. I wanted to capture that depth in his personality: if he had not been Achilles, he might have been another Orpheus. Perhaps as an extension of that, I discovered as I wrote that there is a real innocence to Achilles. At least in my novel, he has a native generosity. This is set against his divine, self-absorbed nature, and it doesn't always win out. But it does exist; he is never purposely cruel, and the cruelty of others often shocks him. Judith: We're both classicists writing about the Homeric world. I don't know about you, but I discovered early on that I needed to know much more about the material culture I was depicting than I had ever learned through my classics degrees. What were some of your favorite research discoveries, maybe even some details of Mycenaean life that didn't make it into the book? Madeline: One of my favorite things to learn about and research was Minoan culture. The excavations on Crete have yielded such fascinating discoveries, signs of a culture that was incredibly advanced and artistically creative—from the possibility that they had running water, to the gorgeous ceramics to the tantalizing hints of the bull-jumping. I managed to sneak a few mentions of Crete in here and there (mostly around the Cretan prince, Idomeneus), but almost all of it had to be left on the cutting room floor. Maybe they will make it into the next one! Judith: Achilles's mother, Thetis, completely discounts the value of mortal love until the very end. I found this a fascinating choice as a way of portraying her. Talk about how you see Thetis and how that understanding grew for you. Madeline: I have always been very moved by Thetis' story. She is a lesser goddess who is born with extraordinary potential: a prophecy that says that her son will be greater than his father. Initially Zeus has designs on her, but as soon as he hears that, he becomes afraid of losing his place (after all, he came to power through overthrowing his own father), and determines to marry her to a mortal in order to limit her child's power. She is given away to Peleus without her consent, and then has the further grief of learning that her son—extraordinary as he is—will die young. She will be left with nothing. At the same time, I was very aware that gods are not like humans, nor are they meant to be. Pain and heartache and grief are not feelings that the gods tolerate for very long, because they are feelings of powerlessness, and therefore inherently undivine. Gods turn their hurts into hatred, rage and vendetta; they obliterate shades of grey. But nothing Thetis does can take away her son's imminent doom. She is trapped in grief and cannot find a way to escape it. Judith: In my review I expressed some concern that Thetis's vehement hatred for Patroclus and Achilles's love relationship was anachronistic and historically unwarranted although I saw how integral her hatred was to your plot and theme. Can you discuss why you chose to show the source for Thetis's dislike as the physical love between Achilles and Patroclus? Odysseus also disparages their relationship, saying that such love is fine for boys but they're not really boys anymore and implying they should be done with it. What are the historical sources for these views of homosexuality? Madeline: For me, Thetis' hatred of Patroclus isn't really linked to the fact that he is Achilles' lover, but to who he is as a person: disgraced, human and (in her eyes) weak. Her only hope for her mortal son is to exalt him, to literally make him a god. Patroclus' mediocrity seems to her an impediment, the embodiment of all the worst of mortal failure, holding Achilles down to earth. Patroclus is also a rival for Achilles' attention, and gods are notoriously jealous. As for views on homosexuality in the ancient world, there is no such thing as a definitive answer or source—things are constantly shifting depending on the time period, the geographic location and the social status of the men involved. But it is generally true that having a lover was acceptable (or, more acceptable) as long as you went on to marry and produce an heir. The really deviant and strange thing was the idea that men might be together—just the two of them—past young adulthood, as Odysseus notes. Alexander the Great was devoted to his lover Hephaistion, but still had a wife. Unfortunately, we don't know what the attitudes were like during Mycenaean times, the era of the Trojan War—our only real source is Homer himself, who was composing nearly five hundred years later without the help of a modern research library. I had to make my best guess on the norms of the time based on the scholarship that was available. Judith: The Song of Achilles offers a new definition of the ancient Greek concept of the hero, in Homer represented by the phrase aristos Achaion, best of the Achaians, which you also use in your novel. Can you talk about your conception of the hero and to what extent you see your definition as part of the Homeric tradition? Madeline: There are so many types of heroes—flashy or quiet, physical or spiritual—but Homer's world highlights a few kinds in particular: the strong-men, the clever diplomats, the unbending leaders, the devoted sons. I wanted to find ways in which other kinds of heroism might exist alongside those types. I also wanted to explore what it would mean to try to be an ethical person in such a cruel, and violent place. Is it even possible? Judith: The Song of Achilles is your debut novel. What have you enjoyed about the process of bringing this book through the process all the way to market and what challenged you? What writing project is next for you? Madeline: I have absolutely loved the opportunity to connect with fellow book-lovers and mythology readers. Writing the book was so solitary, it is an amazing experience now to get to see it make its way in the world. As for challenging, it has been an interesting learning experience trying my hand at social media—Twitter in particular. By nature I'm a lurker, the type of person that would rather listen to others than speak. But I've been working on it! As for what's next, I would very much like to stay in Homer's world for one more book. One of the characters I most enjoyed writing in this novel was Odysseus, and I wanted to get to tell a bit more of his story. In particular, I am interested in some of the women of the Odyssey—Circe, first and foremost, and Penelope as well. Judith: You’ve been quoted saying, "It was very important to me to stay faithful to the events of Homer's narrative." I have written a manuscript focusing on the relationship between Achilles and Briseis with much the same goal. I think you achieved that determination to stay faithful, and yet, to my intense interest, you and I have imagined very different narratives within the same world, and so have other writers recently such as David Malouf with his book Ransom. I'm charmed by the spaciousness of the Homeric poems that they provide so much imaginative room for generations of writers. Any thoughts on why this is so true of Homer? Madeline: I agree with you completely on your use of the word "spaciousness"—there is something in Homer that is so expansive and inherently generous. It takes a rare artist to create a world as full as his that still allows so much room for others to set up camp. Some of this, I think, has to do with the fact that his stories were originally oral poetry, and the flexibility that that medium allows to add and subtract as necessary, depending on the interest of the performer and audience. By comparison that Roman poet Vergil is every bit as brilliant as Homer, but his lines fit so deliberately and snugly together it would be harder to find a space to write back to them. And, by the way, I look forward to reading your book!